I used a Tonner Company Antoinette doll as the basis. After studying the posture and style of vintage mannequins, I reshaped her face and resculpted sections of her body to make her look like a 1940s style mannequin. I used Apoxie Sculpt clay and LaDoll clay. She is painted to look like painted plaster. Her lingerie is permanently attached to her body, but she could wear a dress over it. She disassembles and fits snugly in her custom crate. She stands on a wooden base and is 16” tall, or ¼ scale as a miniature mannequin. 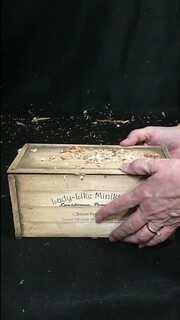 The “Lady-Like Minikin” has found a new home at “Facets by Marcia” where she is modelling miniature accessories that are for sale in Marcia’s shop. How perfect is that? 19 Nov	This entry was published on November 19, 2018 at 12:22 am. 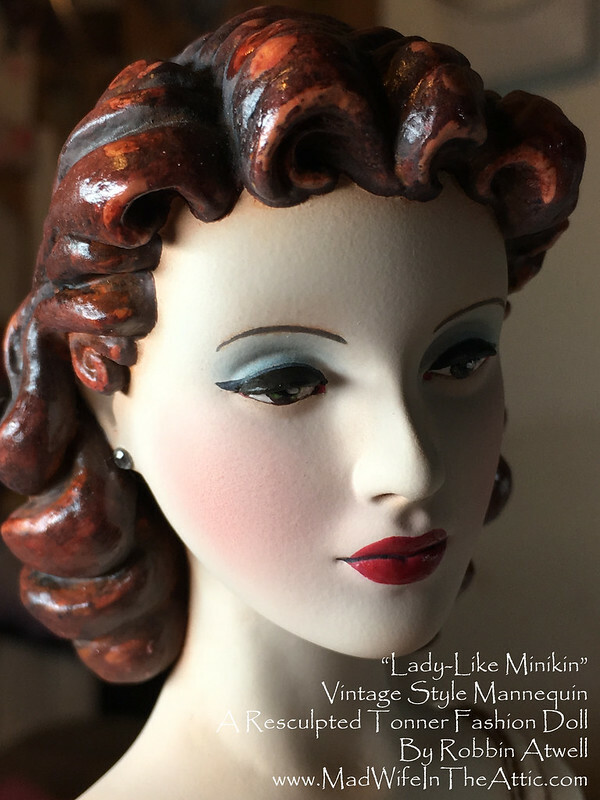 It’s filed under Art Doll, Doll Making, Mannequins, Modifications, Sculpture, Uncategorized, Vintage Dolls and tagged Antoinette, Crafts, Dolls, Facets by Marcia, Mannequin, Miniature Mannequin, OOAK, Robbin Atwell, Sculpture, Tonner. Bookmark the permalink. Follow any comments here with the RSS feed for this post. I absolutely love her! Will you be making more? I would love to have one. I wasn’t planning to make any others, but I’ve gotten such nice comments, and I’m starting to get ideas for a second version. So, I’ll probably make another one in the Spring. I’ll post pictures when I get her going.